Take $600 per person off on board the Akademik Ioffe or RCGS Resolute and contact us for further discounts with this Cruise Company. 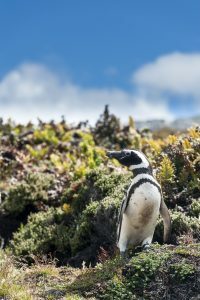 Our most popular expedition cruise, exploring the wildlife populated coasts of the Falkland Islands, South Georgia, and Antarctica. South Georgia the ‘Serengeti of the Southern Ocean’ is one of the Antarctic’s hidden jewels. An adventure offering wildlife photography, zodiac cruising, up to eight species of penguin, while following in the footsteps of Sir Ernest Shackleton, leader of the Endurance Expedition. These Antarctic expeditions utilize a flight to Stanley in the Falkland Islands to save almost a day and a half at sea – which maximizes the time you can spend exploring incredible Antarctica, and the sub-Antarctic Falkland and South Georgia Islands. 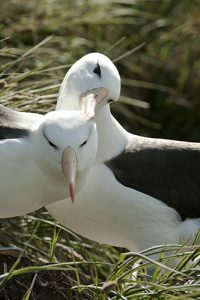 We’ll encounter a spectacular proliferation of unique wildlife and birdlife on our journey – there are penguin rookeries with more than 100,000 nesting birds, albatrosses, and the beaches are covered in fur seals and elephant seals. 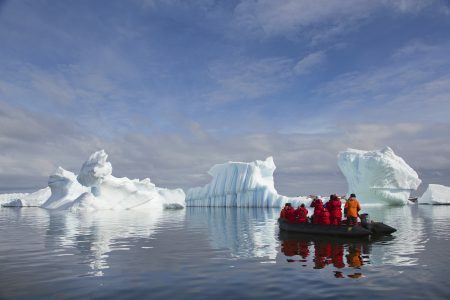 Beyond these islands lie Antarctica, where we will experience icebergs of all shapes and sizes and encounters with whales, including humpback, minke and orca. 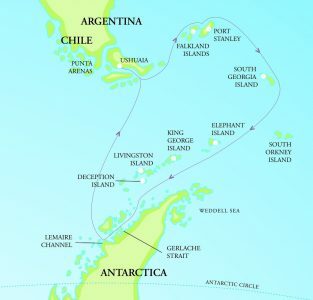 * This voyage includes a flight from Punta Arenas to Port Stanley, Falkland Islands. 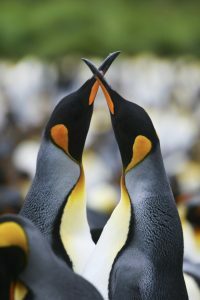 * This voyage includes flights from Stanley, Falkland Islands to Punta Arenas. Our journey commences this morning in Punta Arenas, where we board our flight to Stanley in the Falkland Islands. After a short 90-minute journey we are met on arrival and transferred to the pier. 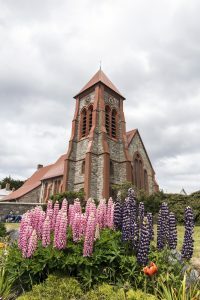 Stanley is home to 2,000 residents and is reminiscent of a charming, rural town in coastal Britain, full of brightly coloured houses, flower-filled gardens, a quaint cathedral and several pubs. There is time to explore the town before embarkation. Having cruised down the eastern coastline of the Falkland Islands overnight, we are at the far south-eastern end of the archipelago. Near the barren and windswept Sea Lion Island, we launch the Zodiacs for our first shore excursion. If we enjoy good weather conditions we may be able to visit neighbouring Bleaker Island, another settlement on this remote eastern coast of the Falklands. In the evening, we navigate into the Scotia Sea towards South Georgia. Possible landing sites in the South Shetland Island group could include King George Island, Half Moon Island, Yankee Harbour or Hannah Point. Weather conditions permitting we sail the ship into the flooded volcanic caldera of Deception Island. Finally, after so much anticipation, we enter the icy waters of the Antarctic Peninsula in the vicinity of Mikkelson Harbour or Cierva Cove. Snow covered mountains soar from the dark waters. Along the shoreline in the bays and harbours of the Peninsula lives an incredible abundance of wildlife. Large rookeries are home to chinstrap, Gentoo and Adelie penguins. 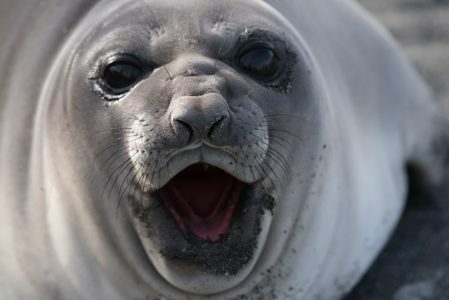 Seals live on the ice floes, including the powerful leopard seal that we hope to encounter. Gulls, skuas and cormorants are also found nesting and feeding at many sites along the Antarctic Peninsula. 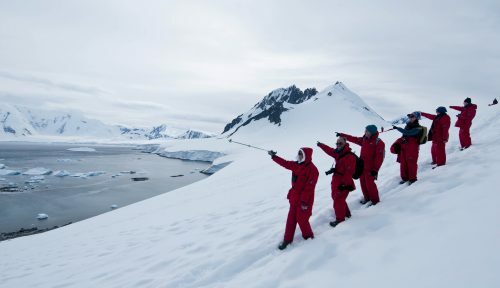 We explore by Zodiac boat and ashore, where a range of wonderful activities await: join the photographic guide and take close up photos of the penguins or the impossibly blue ice; enjoy a hike to the top of a snowy mountain saddle with one of our adventure guides; or perhaps visit a science base or an old historic hut. The sea kayakers may range up to several miles from the ship, for a truly memorable experience. Each day, you will have a range of great choices. In 2017/18 we will spend one day less along the Antarctic Peninsula and the South Shetland Islands.